I’m someone who can’t resist jumping head first into work straight out of bed. So I count on that morning mug to ease me into the day. It’s especially helpful on days when those urgent or irritating emails appear in my inbox first thing in the morning. You know the ones. That’s the beauty of having cold brew concentrate on hand. You can pour an instant cup of the freshest, dairy-free cold brew coffee with whatever intensity your body needs. If you are waking up in a zen mood from a restorative sleep (I’m assuming this happens to some of you? ), then you can pour a mellow amount of concentrate. 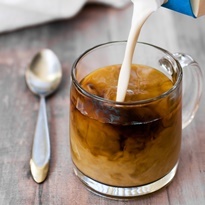 Balance it with a some water or creamy coconutmilk beverage and that perfect splash of So Delicious Dairy Free Creamer. 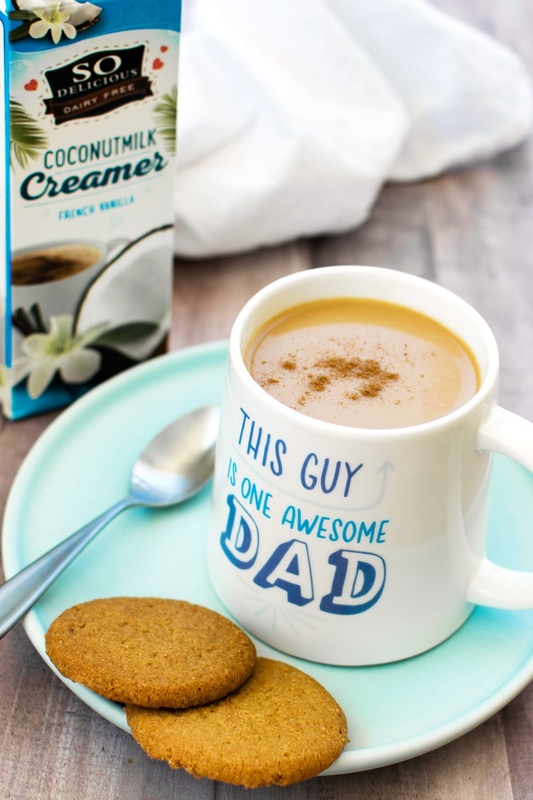 If it was a rough night sleep and your stress levels are high, go intense and sweeten the deal with a good pour of that dairy free creamer. 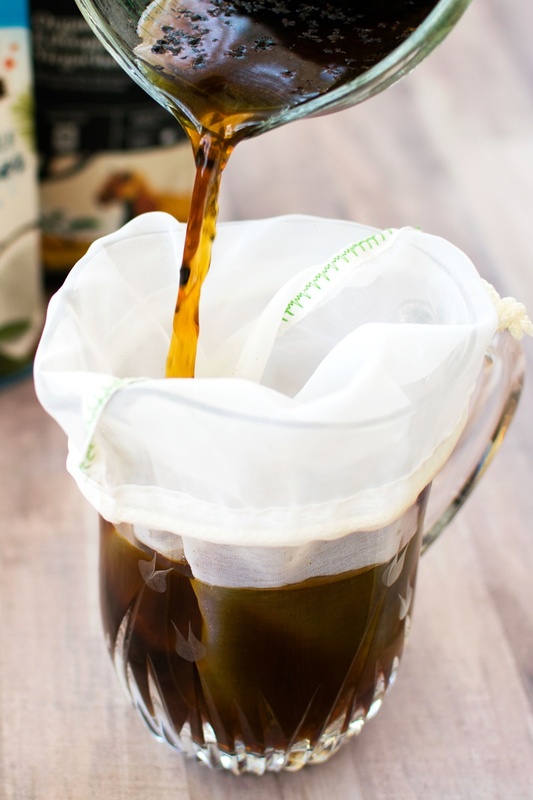 And there is no need to pay the big dollars when you can make your own cold brew concentrate at home! Dairy-free cold brew coffee is affordable and so much fresher than store-bought. In fact, one 10-ounce bag of coffee beans yields 12 to 15 cups of cold brew concentrate! And it really is easy. Just soak the coarsely ground beans overnight. Strain to reveal a perfectly smooth cold brew coffee concentrate. Pour some of the coffee concentrate into your mug. Leave it at room temperature, heat for a warm mug, or add ice for iced coffee. Dilute with water or dairy-free milk beverage as desired. 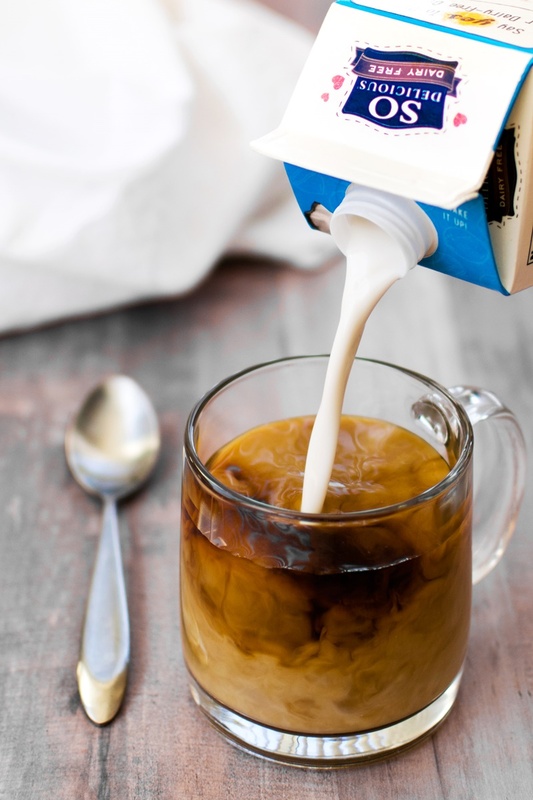 And pour in the best dairy-free coffee creamer for a perfect dairy-free cold brew coffee beverage. 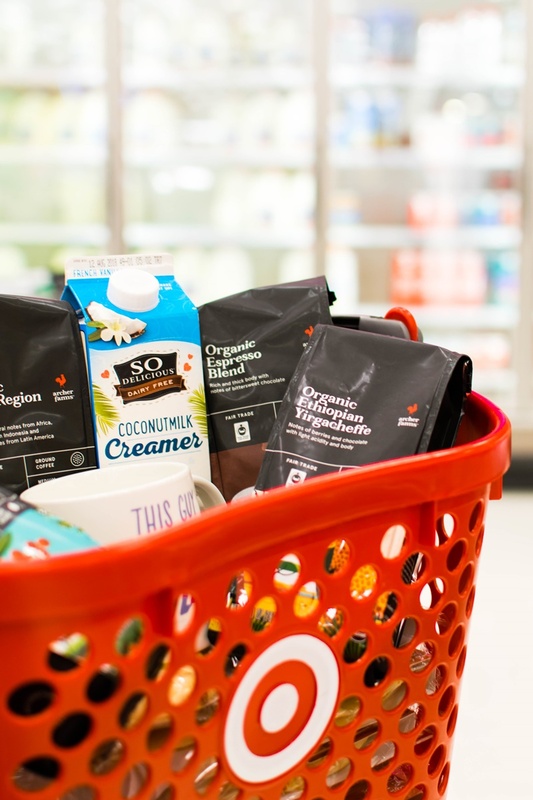 I picked up the supplies I needed to make this dairy-free cold brew coffee at Target. Straight up, I love shopping there – they always have cute stuff. Plus, their Cartwheel App offers great deals! They had a huge selection of coffee, but it was easy to decide. Archer Farms Organic Whole Bean Coffee were a great value and came in several varieties. For the perfect dairy-free cold brew coffee, I grabbed a quart of Vanilla So Delicious Dairy Free Creamer. And of course I needed some cool clear mugs to showcase my dairy-free cold brew coffee. Target had the perfect glassware for a great deal. But I also spotted a cool Father’s Day mug that I simply had to pick up for my dad. Using cinnamon in the concentrate adds depth to the flavor. 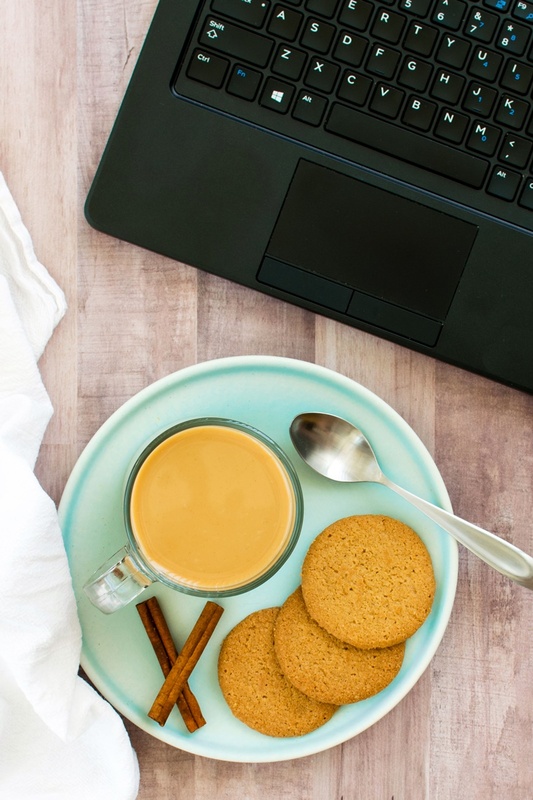 With the vanilla creamer and cinnamon sprinkle, it has a sweet Mexican coffee or snickerdoodle vibe. Please note that the Prep time does not include soaking. It is hands on time only. Place the coffee beans in your blender, food processor, or coffee grinder. Pulse the beans just a few times. You want a coarse meal or finely chopped beans, not coffee grounds. Transfer the chopped coffee beans to a large jar or container. Optionally add the cinnamon stick. Cover the coffee with the water. Cover the container and let sit at room temperature for 24 hours. Pour the coffee through a nut milk bag (for cleanest results) or a fine mesh sieve lined with cheese cloth or a coffee filter into another container. Fill your mug halfway with the coffee concentrate. If desired, heat the coffee or add ice for iced coffee. Add the creamer, to taste, and water or milk beverage (hot or cold), as needed. Optionally top with a sprinkle of cinnamon to serve. This is a sponsored conversation written by me on behalf of Danone. The opinions, photos, text, and store purchases are all my own. Give me all the cold brew and no one gets hurt!! haha! I feel like I’d love this drink- looks super delish. Haha, well if you are a cold brew fan already, then you will definitely love it. I promise! Love this dairy free cold brew coffee! 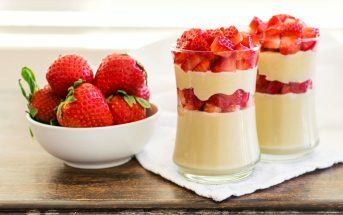 So easy to make at home! It really is and tastes so much fresher. I just had my first cold brew from Starbucks and loved it, but I would love love it if I could make it at home this is perfect timing! And definitely picking up the creamer next time I’m at the store! Seriously, it’s a must try at home! Fresh and cheap!! This looks so good! 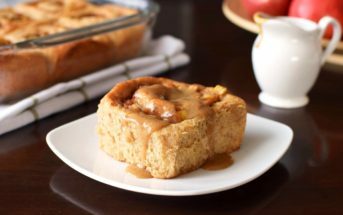 I love the Snickerdoodle twist—cinnamon is one of my favorite spices! Mine too! I barely go a day without a sprinkling of cinnamon. 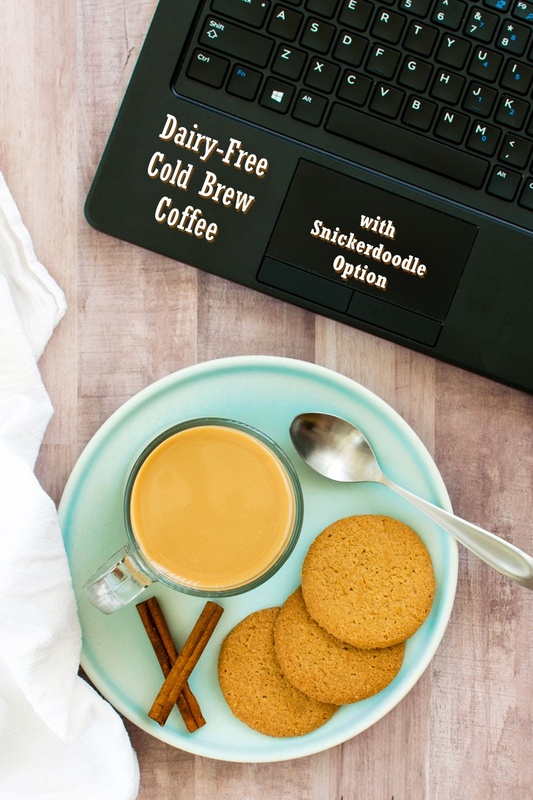 I will be taking the snickerdoodle option! And I love cold brewed coffee! Right? It is definitely cold brew season! My husband would love this! It’s getting so hot, the need for cold brew is real! Love the snickerdoodle option too. I thought a good cold brew recipe would come in handy as we head into summer. It’s so easy and SO much cheaper than store bought. Like a fraction of the concentrates! There really is absolutely nothing like a good cold brew! Craving one now even though it’s a bit too late! 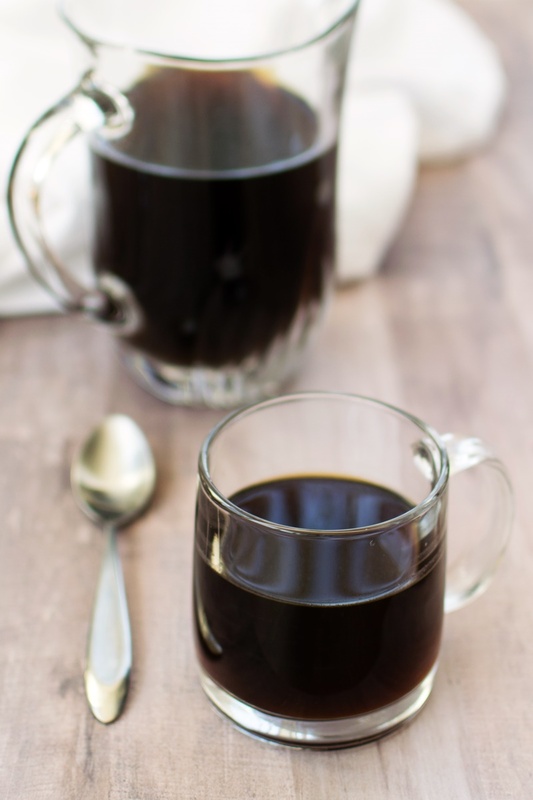 If you love coffee, you will LOVE homemade cold brew Kristen! I love the coconut creamer! I add it into my tea and it’s delicious! I couldn’t agree more, it’s fabulous! Cold brewed coffee is the best in the summer! And I love how easy it is to make. I’m just amazed by how clean it tastes! Oh man I really want to make cold brew… I think you have convinced me! It can be so gosh darn expensive! And it looks so easy. I like to try and ease into the day with a coffee and read either a book or national geographic. Seriously! We looked in store and this home brew is a fraction of the cost! Sometimes the result is so worth the effort…Dads will love this! This mug seriously needs to find its way into my kitchen! 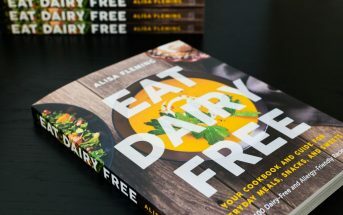 I love the delicious dairy free options on the market these days, it really helps make mornings enjoyable for everyone! Isn’t it cute? And it’s quite good quality, too. Not flimsy at all.